Bonfiglioli Engineering is the worldwide leader in Quality Control Solutions for all packaging requirements in Pharmaceutical, Metal Can & Aerosol, Food & Beverage and Plastic markets. Born in 1974 and located in Ferrara, Italy, Bonfiglioli Engineering owes its growth and success to the energy and vision of its founder, Giuseppe Bonfiglioli. Throughout its history, Bonfiglioli Engineering has been able to combine its remarkable engineering expertise with original thinking and innovative technological developments to create superior Quality Control Solutions. In 2012, the company has become member of TASI Group - the largest group in the world uniquely focused on leak testing, measurement and inspection - confirming its leading role and strengthening its organization. With over 5000 installations around the world, Bonfiglioli Engineering serves a truly global customer base, making a dramatic impact on the efficiency and the safety of the packaging industry worldwide. Bonfiglioli Engineering global sales team is internationally based with Area Sales Managers located all over the world, supported by an extensive agent network. Every project is technically supported directly by the company highly skilled and qualified technicians that, with global coverage, offer prompt and reliable assistance throughout the entire equipment life cycle. Testing is quick, reliable and repeatable and gives consistent results for a comprehensive batch control, always without altering the container features. Vacuum Decay Method (VDM) a non-destructive Container Closure Integrity (CCI) practice applicable to most pharmaceutical package systems in which CCI testing is performed while the package itself is held within hermetically sealed test chamber. Pressure Decay Method (PDM), the preferred CCI approach when dealing with oil-based products (high viscosity or density). Lid Deflection: analysis of differential position of successive container lid profile measurements to detect closure integrity in IV bags, pouches, blisters, etc. Force Decay: Analysis of the force level variation following container mechanical pressing that is effective across a broad range of hermetically form filled sealed container systems, such as plastic bottles, IV bags, etc. 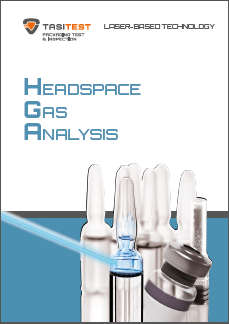 Headspace Gas Analysis: HGA verification is a particularly effective solution for ensuring parenteral product stability and sterility maintenance. It detects any modification in the headspace pressure, moisture or oxygen level that may result in the degradation of the active drug, likewise in the reduction of drug potency and product shelf life. Bonfiglioli Engineering provides dedicated solutions in the markets of Pharmaceutical, Food & Beverage, Plastic, Metal Cans & Tubes, Chemicals & Cosmetics, Aerosol and more, effectively meeting all industrial needs with state of the art technology. The range includes 100% non destructive solutions such as Leak Detection, Visual Inspection and Headspace Gas Analysis, for laboratories as well as in-line applications. Strong in its solid and synergic internal organization, Bonfiglioli Engineering provides consulting support aimed to develop solutions that can fully meet customer requirements and expectations. LF Series: bench-top and Off-line machine designed for Non-Destructive Integrity Testing of: Vials, Pre Filled Syringes, Pouches, PFS Nest, Monobloc, IV Bags, Flowrapped Device, FFS, Carpule, Bottles, BFS, Ampoules, Liquid Forms, MDPI, MDI. PK Series: a range of inline and offline machines to perform VDM or PDM based closure integrity testing in vacuum/pressure test chamber. LVA 600: in-line fully automated test unit for performing Headspace Gas Analysis (HGA) on sterile pharmaceutical containers. COMBI Series: On-line Combined CCIT, HGA and Visual Inspection Automatic Machine. 3 All-in-one solutions for high integration feasibility of different modular inspection technology systems in connection with a wide choice of links to the up-stream and down-stream line flow. RLD-400A: for in-line non-destructive integrity testing of filled aerosol cans using integrity testing, using VDM or PDM analysis. Laser Cube: a benchtop headspace gas analysis machine that uses non-destructive, non-invasive laser-based inspection technology for measuring the headspace level of gases, such as oxygen and carbon dioxide, as well as monitoring moisture levels. Bonfiglioli Engineering products and solutions can be applied across a very wide range of industry sectors, including Pharmaceutical and biotech packaging, Medical Devices, Food & Beverage and Appliances. To learn more about Bonfiglioli Engineering’s services and capabilities and how they can assist your business, please contact the supplier.